Zarges has nearly 100 years of experience in protecting valuables with its outstanding lines of aluminum cases. Saving weight and space is critical in logistics and no cases prove to be better equipped to meet these needs than the Zarges aluminum cases. Wherever the mission, whatever the challenge, you can count on the durability of Zarges aluminum cases to meet your needs. 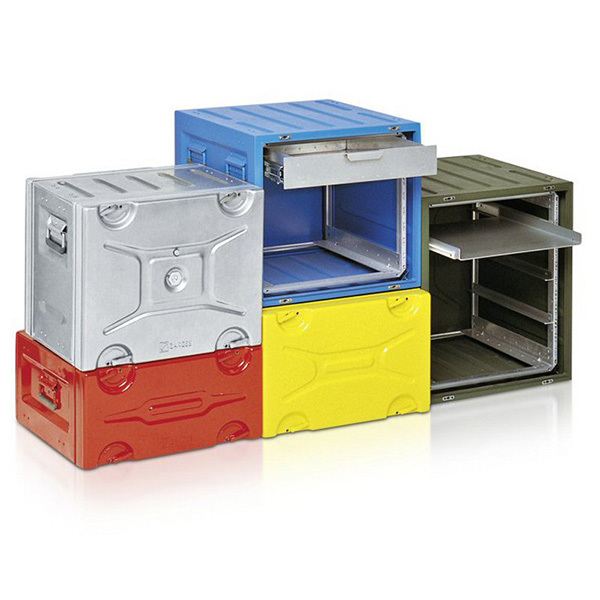 Ameripack is an authorized distributor of Zarges line of aluminum cases. The Zarges line of K4XX Series of cases represents the most comprehensive line of aluminum shipping and storage containers anywhere! The sleek design and lightweight qualities of these cases make an ideal packaging solution for nearly any application. The K470, K470 Plus, K473 and K475 series cases are Fire Retardant and can be shipped with Haz-Mat approval on request. The K470 Plus cases offer great versatility with access through the lid of the case, or you can completely remove the upper section of the case to reveal your components. The K412 Roll Box and K415 Mobil Box come standard with casters to make moving these around no problem. Other cases are also available with a variety of options. The Zarges Mitraset Aluminum case is the ultimate protection for rack mounted mission critical equipment in an ultra-lightweight package. 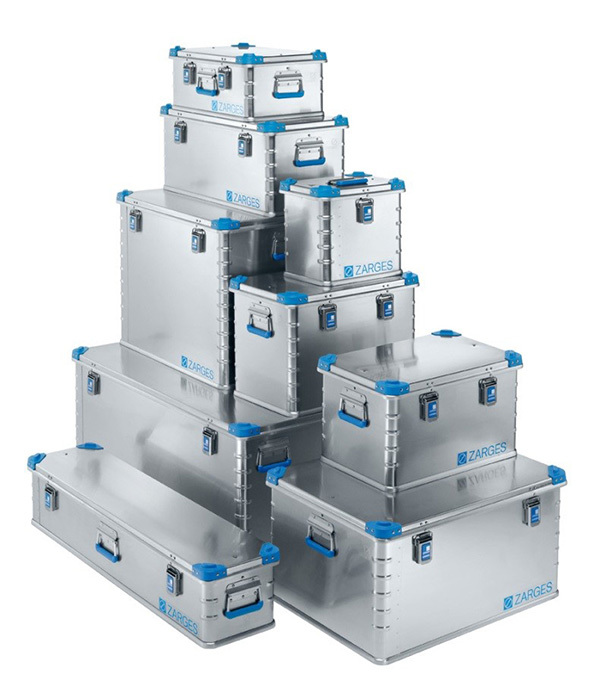 The structural rigidity of these cases eliminates distortion resulting from high temperature exposure, interchangeable lids and ½ turn latches replace mismatched rack-mount lids and knuckle busting latches. These cases are water tight and provide excellent heat dissipation. All Mitraset Rack Cases come standard with two 2″ interchangeable lids. In addition to the standard mitraset sizes, Ameripack can have an aluminum rack mount case built to whatever your specifications call for. 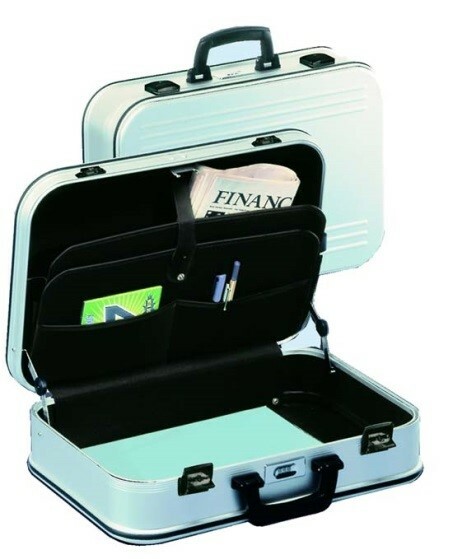 Zarges also offers a line of Service and Attache aluminum cases for a wide variety of applications. These brief case style cases offer the protection and styling that you have come to love from Zarges products. In addition to the standard aluminum finish, these cases can be anodized for a custom look to match your companies colors! Contact us at Ameripack for more options on customizing your case any Zarges case to meet your needs.